We have been working very closely with the community, local and national disability sports organisations and access specialists to ensure that the Life Centre is accessible for all users. Additional accessible parking is currently being put in at the front of the building to reduce the distance to the centre for those with mobility or breathing problems. This includes 30 accessible parking spaces. In key areas throughout the building you will be able to see that there are hearing loops fitted to make things easier for those who are hard of hearing. In each main changing area of the building you may see signs for changing places. These facilties have been designed with fully automated adjustable beds and ceiling hoists to help people with physical difficulties to enjoy the centre. If you need to access one of these rooms or remote controls for the beds and hoists please ask a colleague who will be happy to help. Alternatively throughout the building you will find accessible toilets specifically designed with wheelchair users in mind. All signs and buttons have brail alongside them to help those who need it get around the facility easily. Start your fitness journey at Everyone Active’s Plymouth Life Centre, for Plymouth’s premier fitness facility with, a climbing centre, group fitness studios and swimming pools including waterslides. 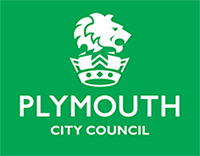 The Plymouth Life Centre is more than just a sports centre, it’s one of the country’s leading sporting venues. It features one of the city’s largest fitness centres, with 150 individual stations, while our aquatic facilities are second-to-none. There’s an Olympic-size main swimming pool, along with one of the country’s leading diving pools, which is home to British Olympian Tonia Couch and, previously, Tom Daley. There’s also a host of group fitness classes to enjoy, one of the country’s best indoor climbing walls, a health suite and a versatile sports hall to enjoy as well. We can offer you a choice of three different pools; an Olympic-sized indoor swimming pool, a diving pool and a toddler pool, you and your family can be spoiled for choice at Plymouth Life Centre. Whether you’re looking for a pool to improve your fitness or somewhere you can take your baby swimming we have you covered. If you require further information, enquire today. Find out more about Swimming Lessons at Plymouth Life Centre. One of Plymouths largest leisure centres, our 150-station fitness centre was recently refurbished with the latest TechnoGym cardio and resistance equipment. It’s also got a large free weights area and a dedicated Watt Bike area. Our friendly trainers and instructors are on hand to help you reach your goals all at your local Plymouth gym. Find out more information about our exclusive gym membership deals. Overlooking our rock climbing wall, our limitless 12-court sports hall can be separated into three sections with rebound walls and curtains to accommodate a variety of sports and activities simultaneously. With a Plymouth Life Centre membership, why not get involved in trampolining, badminton, five-a-side football, basketball, trampolining and netball? Are you brave enough to take on our climbing wall? With a variety of different routes suitable for climbers of all ages and abilities, as well as a number of different sessions to suit everyone, you’re sure to love the challenge. Enjoy a game of bowls whatever the weather in our indoor bowls green. We offer a fantastic GP and exercise referral scheme to the Plymouth community. Our Multi Purpose room is the ideal place for hosting small events. Includes unlimited access to all of our fitness facilities, swim sessions and group fitness classes. Includes supervised access to all of our fitness facilities, swim sessions and group fitness classes.